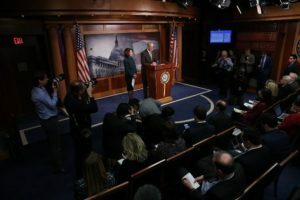 The Polisario and its main supporter, Algeria, were deeply bothered by the US Congress that voted last Thursday (March 22), the 2018 appropriation bill, which includes in the chapter on assistance to Morocco, its southern Sahara provinces. After the Polisario was disappointed by the European Commission, which decided to renew the EU-Morocco Fisheries Agreement with the inclusion of the Sahara, and after it received a warning on March 21 by the UN Security Council for its worrying raids in the buffer zone of Guerguerat, on Thursday, March 22, it was dealt another blow by the US Congress. The 2018 appropriation bill stipulates, like the 2017 one, that the assistance funds extended to Morocco can be used all over the country, including in the Sahara. The Polisario and its mentor, Algeria, have thus suffered three setbacks in just a week, while the Security Council is about to hold at the end of April, a session devoted to the Sahara issue on the basis of the reports to be submitted by the UN Secretary-General Antonio Guterres and his personal envoy for the Sahara, Horst Köhler. Like Brussels, Washington was more concerned to preserve its relations with Morocco that it considers a strategic ally in the region, than to spare a separatist entity, which seeks to balkanize and destabilize the whole region. Moreover, the new UN envoy Horst Köhler was received by the US Assistant Secretary of State, David Saterfield, who told him that only the Security Council is entitled to deal with the Sahara issue. This clear stand prompted some Congressmen to note that for Washington, there is nothing new in the Sahara issue requiring a change of position.